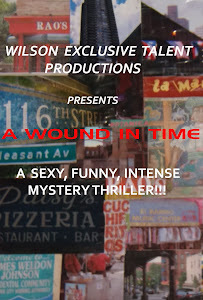 A WOUND IN TIME: INVITES SENT OUT FOR AUDITIONS AUGUST 13TH! Most of the invites and sides have been sent out to all who submitted for replacement, and standby roles for "A Wound In Time" and other upcoming productions. A few friends will join me in this group audition to read when necessary. This is gonna be fun! When I wear my actor's cap I always loved group auditions as they are laid back and cures any nervousness one might have in auditioning. BREAK LEGS ALL!!! !